WINNIPEG – Scott Flory, the late Tommy Hugo, Hank Ilesic, Brent Johnson and Barron Miles are headed to the Canadian Football Hall of Fame as professional players while Frank Cosentino will join them as a builder and Paul Brûlé will be so honoured for his amateur playing career, it was announced on Wednesday at Investors Group Field. “The Class of 2018 is a stellar one; all these gentlemen have had standout careers marked by incredible stories,” said Mark DeNobile, the Hall’s Executive-Director. The unveiling of this year’s class – one of the highlights of Mark’s CFL Week – took place in the Pinnacle Club at Investors Group Field. Formal induction ceremonies will be held later this year at a reception at Tim Hortons Field on the evening of September 14th. Tickets to that event go on sale this evening at 10 pm ET. Fans can access them at this link. The inductees will also be honoured on September 15th at the Hall of Fame game in Hamilton, which features the Tiger-Cats and the Calgary Stampeders. The 2018 inductees will bring the total number of members in the Hall’s Zone of Champions to 296. Their busts and selected artefacts will be showcased in a new hall of fame on the club level of Tim Hortons Field. It will be unveiled this year. 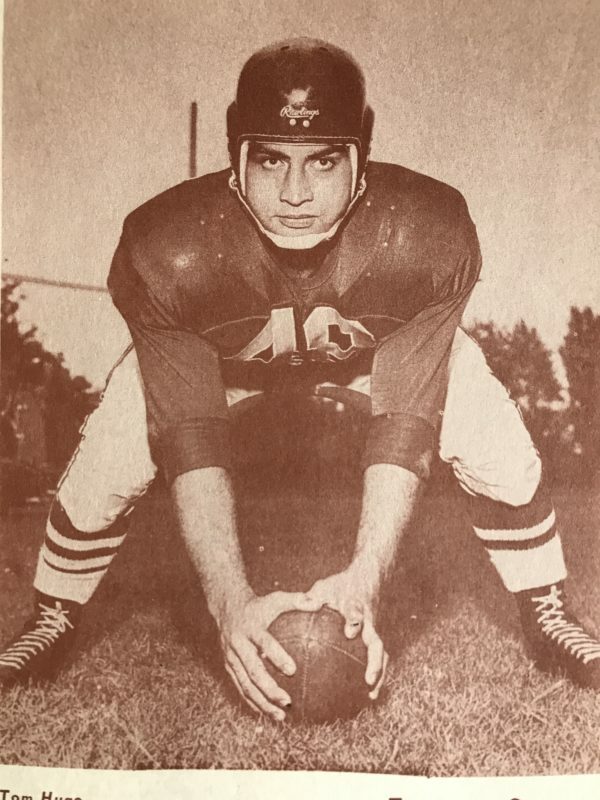 Frank Cosentino played collegiately for the University of Western Ontario Mustangs where he won the Yates Cup in 1957 and 1959 as well as Canada’s intercollegiate championship in 1959. He was drafted by the Hamilton Tiger-Cats first overall in the 1960 CFL Draft. During his 10-year CFL playing career, he helped Hamilton to five consecutive Grey Cup appearances, and Grey Cup victories in 1963 and 1965. He then coached his alma mater for five seasons, winning Vanier Cups for Western in 1971 and 1974. 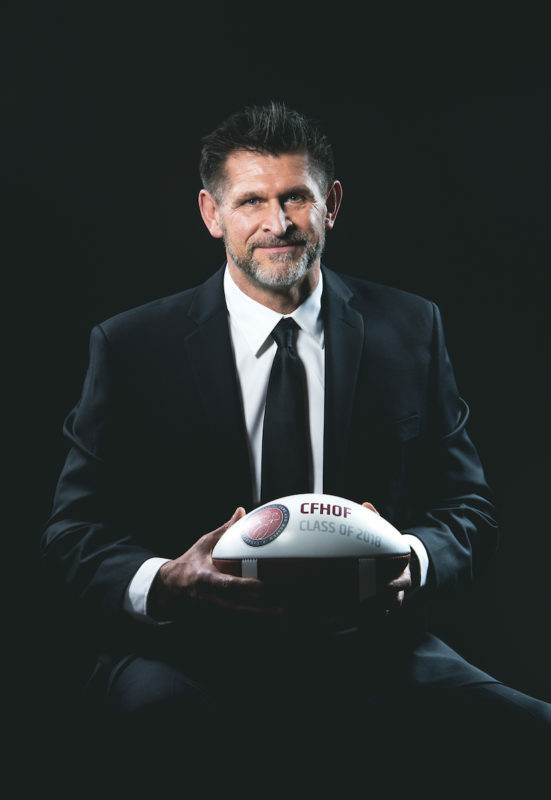 He went on to coach York University where he turned a program that had struggled into a winner that earned post season appearances in 1984 and 1985. 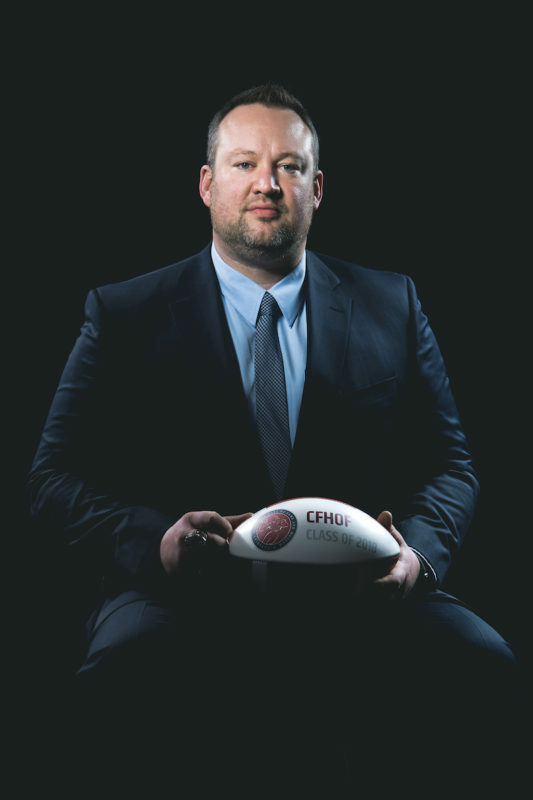 A leading academic and lecturer, Cosentino authored 17 books on sports in Canada, including three on Canadian football. Montreal native Paul Brûlé was one of the most dominant players ever in Canadian university football. Playing for St. Francis Xavier, he recorded unprecedented numbers as a fullback while also lining up as a defensive back. 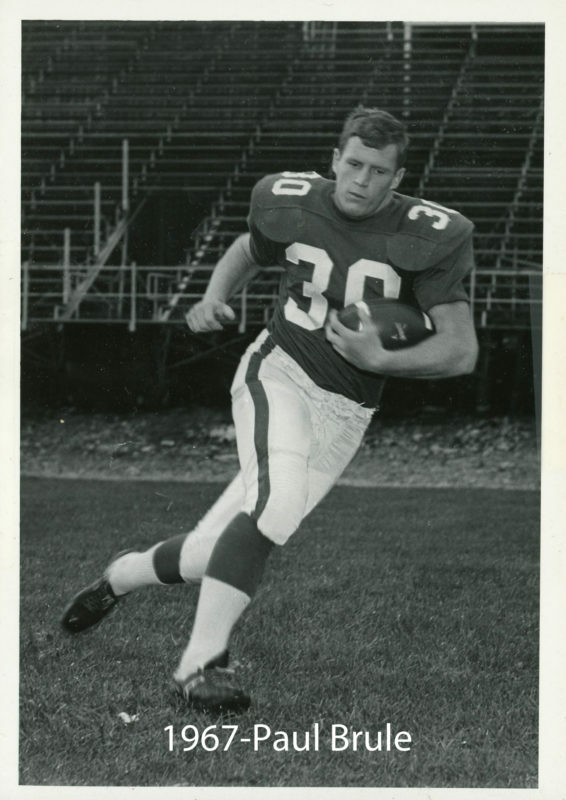 In 1966, he became the first player in Canadian university history to surpass 1,000 yards rushing in a season. He set a single-season record with 20 rushing touchdowns and then later broke that record with a new benchmark of 25 touchdowns. In a single game he scored eight touchdowns (seven rushing majors and a punt return touchdown). At the time of his graduation following the 1967 season, he had recorded 51 career touchdowns (49 rushing) which still stands as the all-time Canadian record. Scott Flory spent an impressive 15-year CFL career with the Montreal Alouettes. After being drafted in 1998, he played in 241 regular season games, 17 playoff games and eight Grey Cup games. A three-time Grey Cup Champion, and the CFL’s Most Outstanding Lineman in 2008 and 2009, Flory was a CFL all-star nine times. He was a mainstay up front for a record-setting offence and a perennial contender. 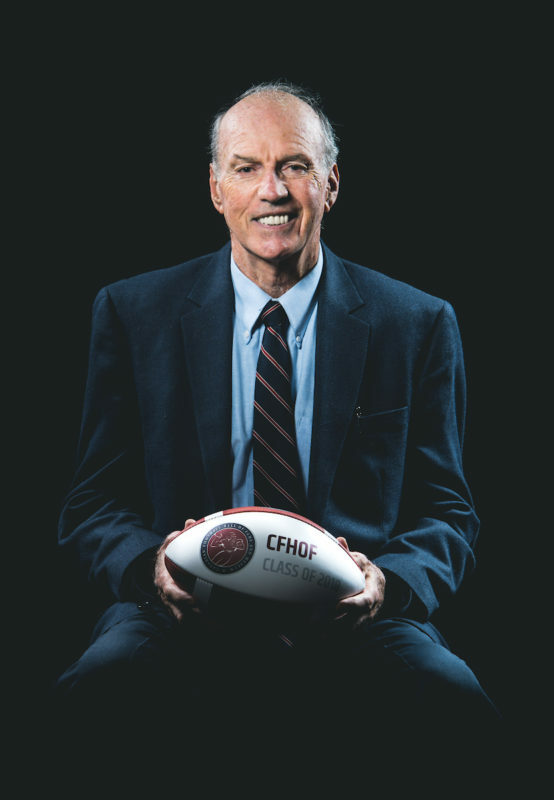 Upon retiring as a player, Flory became the president of the CFL Players’ Association before returning to his alma mater to coach at the University of Saskatchewan, where he had won two Vanier Cup titles as an intercollegiate athlete. Barron Miles played a dozen seasons in the CFL with the Montreal Alouettes (1998-2004) and the BC Lions (2005-2009). He finished his career with 66 interceptions, tying him for second on the all-time CFL list, and 980 interception return yards and five returns for touchdowns. He holds the CFL record for blocked kicks with 13. 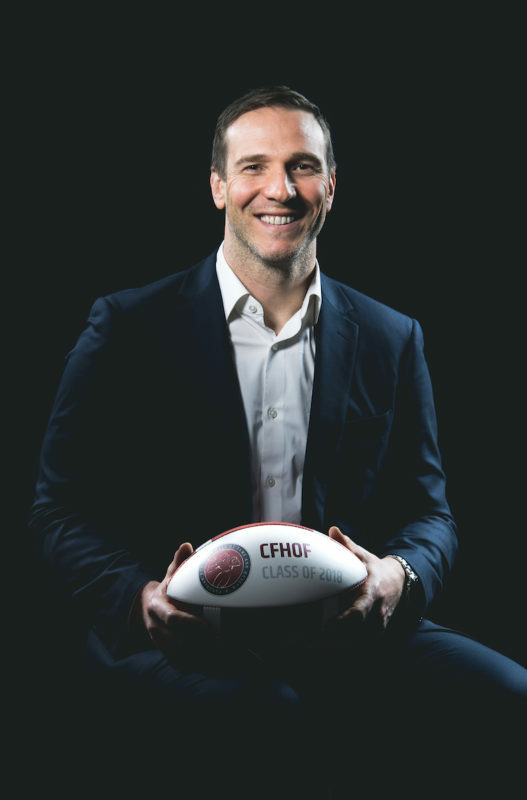 A six-time CFL All-Star, a finalist for both the league’s Most Outstanding Rookie in 1998 and its Most Outstanding Defensive Player in 2002. Miles became a Grey Cup Champion with the Alouettes in 2002. He also won the Grey Cup with the Lions in 2006. He currently is the defensive backs coach for the Edmonton Eskimos. Tom Hugo starred on both sides of the ball in the 1950’s, playing seven seasons for the Alouettes in the Interprovincial Rugby Football Union, the forerunner of today’s CFL East. He earned All-Star recognition twelve times, as a Centre and a Linebacker. He had 25 interceptions and returned two for majors. In his second-last season, Montreal fans voted Hugo, the first Hawaiian ever signed to the Interprovincial Rugby Football Union, the recipient of the Lord Calvert Trophy as the Alouettes’ Player of Distinction. Hugo passed away in 2004 at the age of 74. Hank Ilesic was a 17-year-old high school football player when he joined the Edmonton Eskimos as their punter in 1977. He was a member of seven Grey Cup winning teams, including the Edmonton dynasty that won five straight from 1978 to 1982. Overall, Ilesic played 261 regular season, 18 playoff and nine Grey Cup games with four teams in a career that spanned a total of 20 seasons and included appearances in four different decades. He was named a CFL All-Star eight times and led the CFL in punting average six times (1978, 1980, 1986, 1988, 1991, 1992). He also holds Grey Cup records for most punts (64) and most punting yards (2,735). Following a very successful collegiate career with Ohio State, where he won the Rose Bowl and Sugar Bowl, Brent Johnson played 11 seasons with the BC Lions as an elite pass rusher. The Kingston, Ontario native led the league twice in sacks: in 2005 with 17 and 2006 with 16. He finished his career with 89 sacks, which places him fifteenth on the all-time CFL list and first among Canadians. 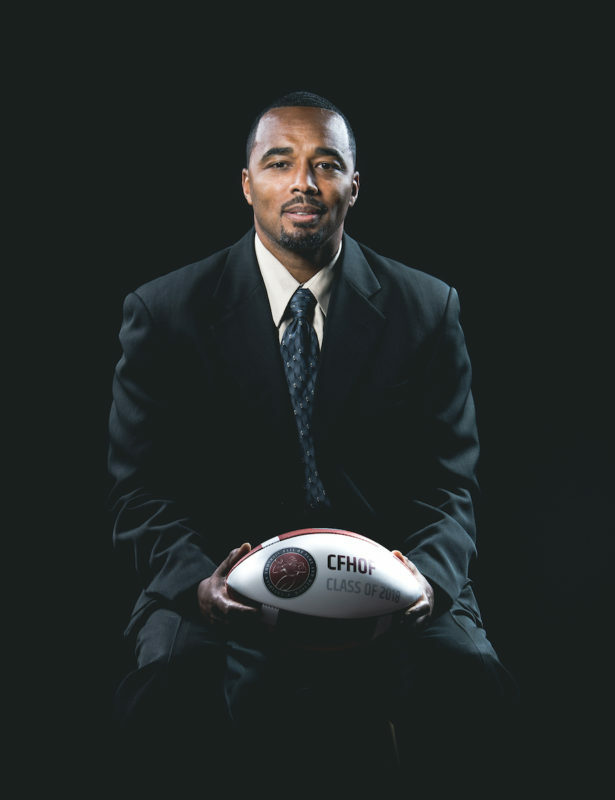 A two-time Grey Cup Champion, Johnson was named a CFL All-Star three times, the league’s Most Outstanding Canadian twice (2005, 2006) and its Most Outstanding Defensive Player in 2006.